Details: Howard was pulled over in his Lexus for going 94 mph in a 55 mph zone. He was drag racing against a Volkswagon at the time and was arrested for reckless driving and participating in a speed competition. Details: While in Miami, Butler was arrested after he pointed a loaded, unregistered handgun at a group of people following an altercation. Details: Blatche was pulled over in Virginia for driving 86 mph in a 70 mph zone, and was found to have a suspended license from a previous driving infraction. 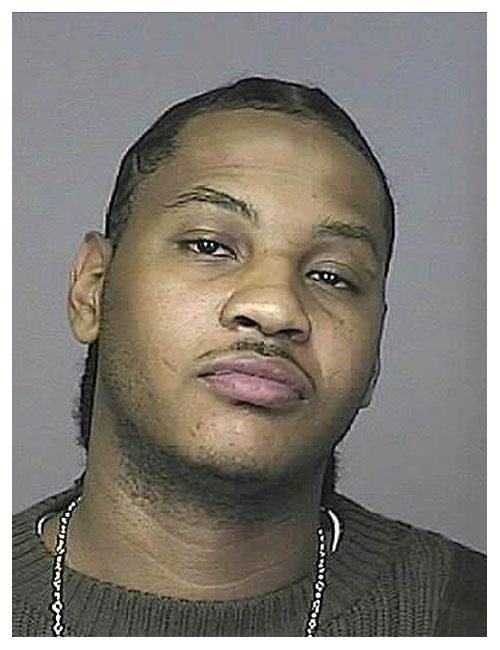 This was Blatche’s third arrest in a three year span. Details: Wilcox was a passenger in a car when he was pulled over, where officers discovered a concealed firearm. This was the second career arrest for Wilcox, both gun-related. Original news account: Johnson was pulled over for driving 85 mph in a 65 mph zone, and officers smelled alcohol on his breath. He admitted to having “a few cups of wine.” This was Johnson’s second career arrest. Details: Noah was arrested in Gainesville, Florida after officers spotted him drinking alcohol in public. During a search, officers also found marijuana in his pocket. Details: Following a Nuggets loss, Anthony was pulled over by police after being seen weaving through traffic. He was arrested for DUI after failing a series of sobriety tests. He was later sentenced to probation and community service. This was Anthony’s second arrest and first in nearly four years.